DocVerify allows for fast and easy E-Signatures over the web or Salesforce.com. Easily upload documents and email recipients to sign electronically. "Their online form integration saved us!" DocVerify is seriously a company that I would say is a needle in a haystack, and a gem. Why? The answer is simple. They obviously don't market or advertise like the rest of the providers, and we heard about them through word of mouth by another colleague. They're very responsive, and they answered all of our questions quickly. Some days the response from their support was within a few minutes. That's crazy. We also found their system very easy to use, and above all it's affordable as we were spending a fortune with one of the other companies. This is a really hard questions to answer because we had to dig deep to find an answer, and after a few minutes of thought all I could think of is that I wish they had more integrations with other providers. We really do highly recommend DocVerify because they really do care. We have a client that needed thousands of clients to sign release forms that had A LOT of fields. We did try using some of the other providers, but the problem was with the others is that they required the signer to literally click on every field to fill them out, and that was taking forever. With DocVerify and their Wufoo integration we were able to create a very easy to use form with a link, and then have each signer click on the link quickly fill out the form, and sign as soon as they filled it out. Not only did this significantly shorten the time it took each client, it also made their experience more positive as we also received positive feedback. We want to thank you from DocVerify. "Excellent way to sign Document in future"
Doc verify provides totally unique way to sign any document. It offers more security than any other signing method. Also docVerify generates Bar-code and digital ID on each signed document, which ensures that the document has been signed using verified signature. Doc verify offers high and most verifiable standard for identifying an individual. One thing I like the most is it really saves time, Now I don't have to wait for my head to return from holiday for that signature . It really ensure the organisation to save time and cost. I am definitely going to implement this in my research organisation. I believe that digital signature will be our future, soon it will be implemented every institute, organisation and business. So there is no drawback of docVerify. Should definitely try docVerify as it new and going to be our future. Work flow efficiency as it cause no delay to sign any document, also it saves cost and time. It reduce the risk of duplication and alteration of any document. "Awesome software I have used till now, we always recommend this to everyone. very satisfied"
The best thing I liked about this software is its userinterface and also the features are very easy. Its very easy to use and also its understandable for beginers. you can add many signer for electronic sign. With this you dont have to go to any client, it will be sign automatically once you send to client, they just have to type their name in the box. If you with to add three or four esign you can do in this software. Sometime it take time to load the page but overall I am happy with this and very satisfied, I have also recommend this to my brother for his bussiness. I have already recommend this to my brother for his bussiness, this is very easy and best software we have used till now. We are very pleased wtih the customer support and new update. you can use this software to get electronically sign at very less time. also if you dont get signed it will expire the link after some weeks of months. so please go for this and enjoy your time. you will surely improve your business. We are getting enotary and esignature . we send this to customer and get this signed. "An excellent low-cost option for processing e-signatures, perfect for my online business"
The process is easy to use and works correctly, and the best advantage over other similar services is low-cost, purchase only when I need to send a document. It is really great for the occasional contract due to the ability to cancel and restart billing from month to month, and the price is great if you stay on the plan too. It's nice to have a platform like this that is specialized and dedicated to the e-signature systems. A primary area for imporvement is the user interface design within the web software backend after login. Somewhat dated and could us a modern design revision for even better user experience. Don't get me wrong though, it does work well already. This is the best option for in-expensively getting e-signatures for your contacts. You can cancel on months you don't need the service as well, so perfect for freelancers and part-time businessess. Ensuring that contracts are signed on each project I take on. I really like the product it is very easy to use. I have been using this product for years for my personal and business affairs. I use it to sign my business contracts and if I need to make up something for anything personal. It is very easy to use all you have to do is basically click on it the hyperlink and then you are finished. I have to honestly say I really don't have any dislikes about this company or there products. I have been using there products for years and I have not had any problems. I would highly recommend this product to everyone because it is very easy to use and there is really no complications with this product. I would try it out it is a very good product. There are many benefits with this product it is not time consuming and very easy to use. "Its super one platform for Notary esign, user interface is amazing"
DocVerify is a solution to problem like notary document signature, the team is very helpful and all the time they respond to your queries. Also they keep updating the website with new and amazing new updates. we are now very happy as we have solution like Docverify and its amazing no bugs till now. This is the amazing and best option with cheaping for getting e-signatures for your proposal. also you can go ahead and remove the subscription if you dont like the services. but you wont as this is mindblowing platform. we are sending proposal to our customer for E-Signature and E-notary and this save our time and hassle at very much extnt. I like how user friendly DocVerify is, I did not have to search page after page for what I was looking for. Convenience is another big win for me. Companies or individuals using a high volume of esignings, this is a great option for you. I disliked how DocVerify keeps trying to sell me an upgraded membership. It is rather expensive. I would much rather use another option for low volume companies. DocVerify provides a simple and intuitive platform that allows you to electronically sign documents from anywhere using any device. With DocVerify speeding up document signing, productivity is improved as sales and other processes are accelerated significantly. DocVerify is also the most affordable cloud-based electronic signature solution in the market. "This makes my job as notary so much easier and I'm more confident with the secure process." I like that I can copy the html widget on my website for my clients and keep track of documents, signatures etc. I dislike that California does not yet accept remote notaries. I was looking forward to having this service available for my business. I would like to have better customer service and phone contact verses e-mail only contact. Research the process and completely understand before signing up. This system should be advertised more because I had no idea this product existed. Therefore, I will spread the word to other notaries and make sure they are aware of this service. I'm eliminating the risk of fraud and dishonestly though this process. It's an issue verifying signers because of fraud and fake documents. This system will provide better security for my business and for the signers. "Simple - Efficient - No Brainer"
Quick login, ease of use, and fast customer service. DocVerify software makes it extremely easy for me to get my documents signed in a pinch. Having the ability to have them enotarized is also a huge plus. We are strongly considering using the software in house for multiple uses as well as for our notaries. I do not dislike anything about DocVerify. DocVerify's ease of use and customer support in the enotarization and esignature market is fantastic. They are coming out with more integrations and features also which is awesome! I am solving the problem of driving 4 hours in the middle of nowhere to get a document signed. The benefit is having the ability to get something signed or notarized quickly. "Good job in repelling their potential customers"
It seems like they have some good features, including e-notary, which is key for some types of businesses. see how the service operates. way to attract new customers." They replied the same day: "The accounts team will take care of it." After 10 days (and 10 spam emails to my friend every day) my ticket was closed. Their reply started with "Email support is not available with all editions, and we do our best to get to every request as quickly as possible based on your edition and SLA agreement." .. along with bunch of "Common FAQs" - all unrelated to my original question. Right next email was asking for kind words in regards to their service... I don't know whether to take it as a joke or what, but I think it's very clear that they lost a potential customer and I am sure I am not the only one. We were considering it to include an API to our software and to offer it to our customers as we're missing some document signature integration. After initial disappointment we better don't go any further. Luckily there are other options our there. The Enterprise trial is meant for potential clients to get an idea how the system works, and it comes with a limited number of transactions because abuse has taken place in the past; however, if a potential client reaches out to the sales department we can work with that client in order to assist them with the product before purchase. As for the notifications, we do have controls to control the number of notifications, and the signer can also opt out of notifications at any time by simply clicking on a link in the request. We are very concerned about spam, and the opt out feature has been a part of the system since the beginning. If the subscription is a paid account, there is a cancel button to stop the subscription so that the client won't get charged anymore, and support can be contacted at anytime as well; however, if the user wants to delete the account they must contact support as we do everything in our power to protect the authenticity and integrity of not only the transactions, but also the signers as deletions of accounts are on a case by case only at the moment. We really do our best to accommodate every potential client and client as possible, and we really do strive for the best service possible given the circumstances. documents are done without leaving home. I have not found any inconvenience yet. It is easy and cost effective to submit documents to your clients via docVerify, it eliminates the costs of postage and envelopes. Time effective as well, you can ship and receive important documents in an instant. It is convenient to receive important document signatures immediately from clients out of state. I am able to save time and money on postage with the use of DocVerify. DocVerify also helps to keep an leading edge on the increasing market for notary public and makes it a lot easier for clients. Transportation and distance can be a disadvantage as well as having to travel to remote locations during the late hours of the night. This application will make it safer and will eliminate unexpected travel in the late nights and early morning with just a simple click of the mouse, or touch from the smartphone. "A valuable tool, quickens the sales process"
It's easy for our time-poor customers to quickly complete a DocVerify e-signature request, the email that comes back to me with the attached signed document allows me to process a renewal quickly, the summary of what signatures are out to be signed, and which have been signed is clear and easy to work through. My team works out of one central email address for our ticketing system but we don't seem to be able to change the return email address (that the customer sees) to this email rather than our personal work email addresses. This is slightly inconvenient because our personal email addresses are intended to be for internal communications only rather than communications with customers. When a customer verbally agrees to renew a subscription with us, rather than having to wait for them to receive a quotation, print it, sign it and scan and email it back to us which might take a day or two for them to get round to doing, I can just explain on the phone they'll receive an e-signature request in 10 minutes and they generally then send it back within the next half hour - therefore quickening the sales process and minimising paperwork for customers. Very intuitive, easy to use and track what I have been doing with my notary documentation. Like knowing where I've been without having to haul paperwork with me everywhere I go! Interface should be more customizable, so I can have it feel more like it's for me. I love being able to change colors and images to match my style. Easy to use, easy to stay organized, great way to start going paperless. No more books to lug around! Have been using with my notary services, and it is wonderful! I love staying organized, and I really love being paperless! "Docverify's e-notary platform system is really the best!" We like it because it's easy to use, only company in all of the states that allow e-notarizations, and honestly the only platform out there that doesn't take advantage of the notary. They have functionality for both in person e-notarizations, and if we want to we can also do remote notaries for our clients. Not much because we've always been happy with the service, and if there's an issue they are really quick at assisting. "Great help for your daily needs!" You can quickly register and have 3 documents electronically signed for free per month! The notifications work really well, so you can easily track the progress of the signing process. Particularly useful when having to collect a lot of signatures. The interface could be a little bit more user-friendly. One challenge is that if after uploading the file you need to add one email, you need to start again. It's a simple software that will easily solve your day to day needs for e-signatures. I now have one application for my documents that need to be signed and also notarized. I would like the ability to fax from this application but I'll be okay. I could not intelligently recommend DocVerify to another unless I understood their needs. However, if you need documents signed regularly and notarized regularly, this is the platform. I'm able to get all of my documents set up and to their parties quickly and notarized when necessary. "Signing up to be an E-Notary!" The ease of going from one screen to another with clear and easy to follow instructions! So far, I have not found anything I dislike! I Demo'd several and this company stood out by far! So far in the process, I am happy I went with DocVerify! Being able to notarize documents when travel is an issue for clients, especially when the weather is bad! We can still conduct business without delays! I like the functionality of the site. There's no question that the features are very easy to maneuver. Some of the links on site do need to be reviewed and fixed (ie: forgot password). Other than that, the other thing I think I would improve on is the speed in which things are uploaded to their server. We are looking to move to e-Notary to make it easy for our clients to notarize important insurance documents.As of now, I am the only notary, so I'm, looking for sites that will allow me to conduct that portion of our business. Easiness to use, while being safe. Even employees that are not tech savvy can easily use it! I can have my docs signed digitally very quick! free up to 3 docs per month! The interface is not so user friendly, but still does the trick. If you need to add another email after uploading the document you will need to start over, so not so practical. It really helped me in my work to solve the problem of having documents signed and certified while having people in different locations. Having documents signed and verified while people are traveling or based in different parts of the globe. The whole process of getting the documents signed is very easy and intuitive. The user interface is simple and easy to use even for people not so techy. The notifications work very well and allow us to get the documents signed without too much of a hassle. If after uploading the document you need to add another email address you need to start over. Also the type of font for the signature could be nicer. It's a software that meets all requirements and solves well the problem of digitally signing documents. Having official signatures on documents without the members being on the same location. "The most cost effective e-signature software I found"
Affordability that meets the basic requirements of e-signatures and its simplicity of use. I couldn't find anything I didn't like. I found what I needed quickly and was able to get the job done. Make sure the pricing is still as competitive as it was when I acquired it as back then it was the most affordable. I needed to get some operational agreements signed with a person overseas and e-signatures were accepted by my financial institution. "Docverify's customer service is a 10/10." Docverify takes pride in making sure you are completely satisfied as a consumer. We just recently subscribed, as Ohio remote notaries, and they went through a demo with us. A man by the name of Darcy, was extremely helpful and made sure we were comfortable using their platform before we started provide the notarial service to the public. There is nothing to dislike about docverify. Reasonable fees and A+ customer service. They allow us to grow our notary business, providing a great platform for us to perform remote notaries. "Worthwhile Electronic Signatures by DocVerify "
Actually I'm tired of printing out a document to put my signature on it. DocVerify provided me the better way to do this, I know there are a lot of apps out there, but DocVerify is much easy and less expensive as compared to other apps. Signing any document with DocVerify is much more convenient. Also after the document is signed , signed document is very well managed via Barcode and thumb impression. "User Friendly Alternative to Docusign"
I think what I like best is the interface that you use to insert fields into a document that needs to be signed. It's easy, has a nice layout and gets the job done. I would say the thing I like the least is the dashboard. Just think that it is outdated and could be presented differently to the customers. Compared to Docusign, it's still really not that bad. I think it's a great alternative to Docusign and would highly recommend it to other business professionals due to it's ease of use. Being that I sign contracts frequently, it makes it so much easier to get that completed. My time is valuable and making the contract management area streamlined is a must. I like that when I reach out to support they solve my problems or provide instructions on how I can solve my own issue. I dislike that I had so many issues to begin with. Remote notarization is new in Texas so I'm assuming the E-Notary services are also still being worked on, which is good. Ask their support questions when you need help implementing. DocVerify is helping us solve the issue of having to send our customers to a third party to be notarized. Now, we can notarize them ourselves. One of the benefits is that our customers are having to interact with less people. We did initially have some issues in the beginning when Texas launched their remote program because of the uncertainty of the state's application process, and we worked through them very quickly by solving them within a couple of days. Today, it is much more streamlined thanks to the many notaries involved. It is vital for us to have documented verification of parents and guardians who give permissions for children and students. We have been searching for a product to fill this need and just began using DocVerify. I love the automatic notification I receive when an individual submits an electronic signature. The email contains a pdf file of the signature information as well and this is helpful and step-saving for updating records. A very easy to follow process for all involved. I have not discovered anything I dislike about DocVerify. My only concern might be that it looks like there are so many more things I can do with DocVerify and I need more time to investigate all these other options. So far, my experience has been A+. I would recommend considering DocVerify. It has been immediately helpful to us and easy to use for both admin and users. The E-Signature is critical for our annual child/student registrations and permissions forms. The immediate email with a pdf attachment of esignature documents is very helpful. The ease of integrating this with our wufoo forms has been easy and has accomplished our goal of allowing users to sign documents online. There is no trail and also little cost is higher. Need to be transparency. It requires less data but strong network connection. "Intuitive interface - great way to sign and share documents"
DocVerify allows you to easily upload documents to be signed and shared with anyone. Documents are stored in a secure manner and all actions taken are accurately recorded for future reference. I wish more people would utilize technology like this! DocVerify makes it simple for anyone to use. DocVerify is a committed partner with deep offerings in the eSign/eNotarization world. We are able to eNotarize documents in states where vendors need to be approved by the Secretary of State. DocVerify is approved anywhere it is needed and has allowed us to broaden our digital closing capabilities. Customer Support is excellent. They are very quick to respond and have always been extremely friendly and easy to work with. They were very helpful in getting us setup and answering questions whenever we had them. User interface is not great. It difficult to find what you need in the admin tools until you get used to it. The signature process could be better. We've found some users have been confused on how to finish signing pages. Updating templates can also be tricky. Wish there were some preset hiring form templates in the system. We are using the system for the hiring on-boarding process. We have been able to add an electronic signature process for our new hire paperwork. "A very good experience with a great support team." The ease of steps to set up a form to link to. I think the platform could be more visually pleasing to the eye - thus would make it more user friendly as well. Feel like I would need to ask less questions if this was the case. Individuals who are unable to electronically sign a form... older people who are not use to the internet. This helps them with that. Also knowing that there signature is binding is a relief. "Good job done by the doc verify team, amazing product with convenient user face. 10/10 to Docverify"
We like it because it's very easy to handle, only company in all of the states that allow e-notarization, and honestly the only platform. They have functionality for both in person e-notarization, and if we want to we can also do remote notaries for our clients. You are doing a very good job, and all the updates are amazing keep this work going and please keep this same work going. We need sing contract by esign and docverify makes this very simple, we get your document signed digitally. It allow me to grow my notary business, providing a great platform for us to perform remote notaries. "Very secure and legal digital signature service"
I like DocVerify's integration with Wufoo and the ease of setting up the integration. The navigation to create new documents and the lack of administrative notifications without assigning a document to a created user. I recommend DocVerify highly based upon their simple yet secure integration with Wufoo forms. We have eliminated the need for international students to physically mail in signature documents. This has made the application process seamless and virtually eliminated abandonment due to these restrictions. "Doc Verify works but I don't love it." I can digitally sign documents which allows me to email signed documents. It is not instinctive and takes a while to learn. I don't like that way that you pay for credits that can expire at the end of the month, why would it matter if I used them in one month or another? Digitally signing with Doc Verify is a clunky and time consuming process. Also, "Land Surveying" is not listed below as an industry. I would try Doc Verify and some others before you commit. I can digitally sign documents and email them instead of overnighting them. The benefit is quicker transfer of signed documents. We want to thank you for taking the time to review the system, and we would like to also respond as well. Land surveying documents entails documents that don't conform to the traditional letter or legal sized documents, and sometimes because of the larger sizes it becomes challenging to try to meet every expectations. We have done the best we can to try to accommodate the larger sizes; however, the system is optimized for typical document sizes. We also do have Enterprise annual plans that would allow you to use your credits as needed within the annual billing cycle with the annual editions, but month to month plans credits do not rollover. It is users friendly and can accept more than 2 signature at same time. Best E-notary. Also timely update about changes. Easy to maintain records and Send as well. Best part there is one pop up which inform us pending signature. "Best Product "
easily agreement with e-signature and e-notary. "Amazing product -Meets all th requirements"
The best thing about DocVerify is its User Interface.Very simple and easy to use. The added benefit is the customer support which was very quick and prompt.I once faced an issue which was solved within minutes. There is nothing to dislike.If there is the support team will surely help you out. This is the best option for getting e-signatures for your contracts. UI is very intuitive and in less than one minute you send out your document to be signed. Then you get notified as soon as the document gets signed. No go back button. If after creating the document you need to edit the recipients or add an email address you need to start over. Not so practical on this. Having official documents signed by people in different countries. 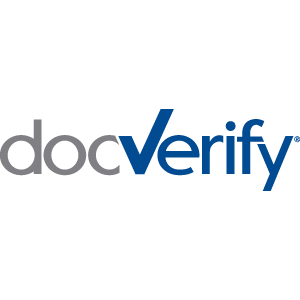 DocVerify is reliable, extremely easy to use and very secure. The most important benefit is the certainty that documents will not be modified. Every modification to a document is detected so you have absolute assurance of integrity. There is a very small learning curve and then you are ready to fully use their service. Great Next Gen product. That the market has not fully caught up with this innovative solution. "WoW! Where have you been?" This service allows me to generate revenue regardless of the time of day. I would generally have to get up at all times of night to meet clients for signatures. This service allows me to provide the same service from the comfort of my home. I would recommend to any professional. I honestly cannot say anything negative at this time. They even provide a 5 month trial period with your upgrad. We love that it makes our system for contracts automated, takes a lot of our old manual process off our plates. There is nothing that we don't like in this product. We love it! Saves us time!! Instead of being completely manual and having to do a mail merge, its all automated now! "Swift and safe digital signatures"
Easy and quick to use. Very intuitive. Solves all my problems of digital signatures! Sign legal documents with stakeholders spread all over the world. "Reliable and simple to use"
I was looking for a simple and reliable solution to have my contracts digitally signed in a swift way and Docverify has so far met all my needs. Plus if our needs are not very big, we are able to use it for free, up till 3 documents per month. The interface is not so user-friendly making it sometimes a bit challenging for less tech people. It's a great product for the price. "Superfast platform for esign with amazing user face "
"eSigning has finally arrived. To leave your house or office. Welcome to the 21st Century." DocVerify takes all of the stress and hassle out of getting your docs signed securely and timely without having to leave home or work. Wish this had been done sooner, searching and finding a good notary is not an easy task and very inconvenient. Better efficiency and more timely. I like how seamless the process is. The instructions are clear and easy to follow. So far nothing. I was able to sign all of my documents quickly either by phone or my pc. Getting documents signed quickly and efficiently. It's ease of use means documents can get signed basically anywhere. DocVerify allows me to use the service on my mobile device and conduct business accurately on the go. My clients like the fact that they don’t have to wait for a project to be completed. I am able to increase my income as well. There is nothing I don’t like about this service as it allows me to increase my income supplementally anytime. I’m able to supplement my income anytime and anywhere without the cause of delay of going into the office or meeting my clients in person. It is time taking process, sometimes mail goes to spam folder. Price need to be decrease as per usage. Also now update is require. It's easy to use and user friendly. It benefited in creating interface between customers and seller. By Esingnature no need to go here and there. It's user friendly. Ease of use, very user friendly platform. Very easy to find what you are looking for on the site. I don't really have anything I dislike. There is a lot of information on front page, could be easier to find stuff on site but its not a major issue. I work as a notary to help students with their financial aid. DocVerify helps me serve the students no matter my physical location. "Seamless Verifiable Signatures for Notary Acknowledgements and Contracts!" 2. All signature transactions are easily verified. 2. The remote signature request setup is a little cumbersome at times. Definitely recommend trying it out so you can be viewed as a true professional by using the latest secure business technology. Our company is in a mode towards solely paperless transactions for notary acknowledgements and contracts. Very user friendly. Everything generates quickly & efficiently. So appreciative if this!! .A primary area for imporvement is the user interface design within the web software backend after login. Somewhat dated and could us a modern design revision for even better user experience. Don't get me wrong though, it does work well already. * We monitor all DocVerify reviews to prevent fraudulent reviews and keep review quality high. We do not post reviews by company employees or direct competitors. Validated reviews require the user to submit a screenshot of the product containing their user ID, in order to verify a user is an actual user of the product. Hi there! Are you looking to implement a solution like DocVerify?